Free and easy-to-use partition recovery software to recover deleted or lost partition, takes up one of the best partition recovery software for you to keep owing to the following features: recover deleted or lost partition quickly and easily; offer several optional scan areas helps locate the lost partition quickly. The reliable free partition recovery software enables you to recover deleted, lost or damaged FAT, NTFS, HFS, HFS+, HFSX, Ext2, Ext3 partition under Windows. 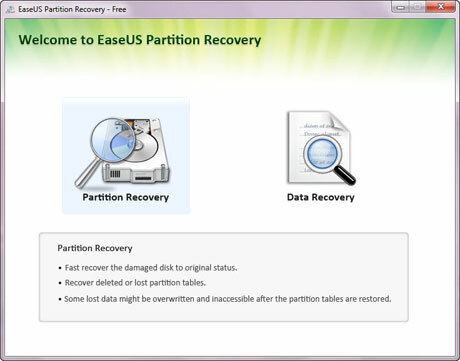 It's very easy-to-use, anyone can restore lost partitions with this free partition recovery software.